Dr. Kenneth Sykes joined Mid-Tennessee Bone and Joint in fall of 2015 to lead our new Interventional Pain Management focus. Dr. Sykes takes an active role in treating patients whose chronic pain cannot be managed through surgery, physical therapy, or traditional medications. He offers advanced treatment options for patients who are living in pain caused by a variety of medical conditions. Dr. Sykes has been in practice for three years, after having completed his anesthesiology residency and a sub-specialty fellowship training in pain medicine. Before coming to MTBJ, Dr. Sykes knew Dr. Scott McCall from childhood when they both participated in competitive gymnastics. 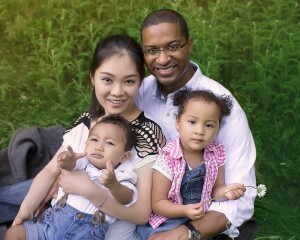 His medical career took him to St. Louis and Ohio, and after Dr. Sykes and his wife had their second child, they realized they wanted to live a little closer to family. Dr. McCall contacted Dr. Sykes about the Clinic’s desire to add interventional pain management to the practice. Dr. Sykes was thrilled after visiting MTBJ and says it has been a joy living in the community. Dr. Sykes’ professional accolades include his time as a resident anesthesiologist in St. Louis when he was awarded a research grant through the Federation for Anesthesia Education and Research (FAER). This grant allowed him to study a specific type of protein receptor suggested to play a significant role in the detection and processing of acute inflammatory pain. Personally, Dr. Sykes is most proud of being named as a member of the United States National Team for men’s gymnastics in 1997. While Dr. Sykes and his family are still relatively new to the area, they’re already looking for ways to get involved in their community. They are currently in the process of looking for and joining a church, through which they hope to get more involved in local events and activities. They are particularly interested in working with at-risk youth, serving as mentors, and working with international students. Dr. Sykes has already seen significant changes in the field of pain management. First is the recognition that certain interventional procedures historically used in acute perioperative pain management (pain due to surgery) may be useful in the chronic pain management field. Previously, severe pain tied to surgery that is controllable with pain medication has been approached differently than pain that is long term and often does not respond to pain medication. Second, Dr. Sykes explains the finding that chronic opioid use may not have been the great solution to the chronic pain problem that we initially thought it was. In fact, in some ways chronic opioid use may have caused far more harm than good. This recognition has caused professionals in the pain management field to reexamine whether or not these medications are actually helpful, and to apply increased scrutiny regarding how and when these medications should be used in the context of chronic pain management. In his free time, Dr. Sykes likes to exercise and workout. He likes to listen to and play a variety of instruments: piano, acoustic guitar, bass guitar, and drums. Many of Dr. Sykes’ favorite extracurricular activities involve hanging out with his family. He and his lovely wife, Sun Jeong, have three young children.